Bones form the foundation of every human being – which is why it is so important to maintain good bone health, and stay physically active & independent. 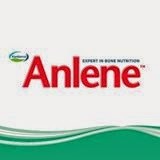 As the expert in bone nutrition, Anlene is committed to provide advice and quality nutrition for strong bones, to help women and men alike stay physically active and mobile throughout the different stages of their adult lives. So they can embrace their full physical potential and get the most out of life. We are here to help people lead a fulfilling life and allow them to continue to do the things they love.